Pramila Jayapal Hires Indian-American Obama Aide as Chief of Staff A first-generation immigrant, Raghavan born in India, raised in Seattle area and graduated from Stanford University. An Indian-American Congresswoman Pramila Jayapal has recruited former Indian-American White House officials as her Chief of Staff. Gautam Raghavan is a former White House liaison to the LGBTQ (Lesbian, Gay, Bisexual, and Transgender) community as well as the Asian American and Pacific Islander (AAPI) community. He served during former United States President Barak Obama's time. He has also been the founding Executive Director of Indian-American Impact Project and Fund that supports Indian-Americans in politics. He has also served as the White House Liaison and Deputy White House Liaison in the Department of Defence. The move was announced on Monday, the U.S. media reported. A first-generation immigrant, Raghavan was born in India, raised in the Seattle area and graduated from Stanford University. 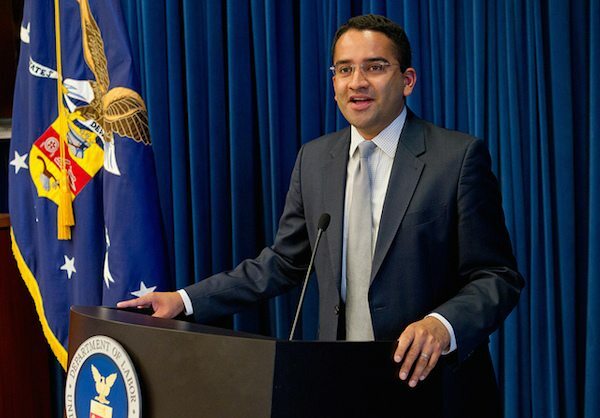 Under Obama, Raghavan also managed White House and inter-agency policy working groups and directed the administration's rollout and carrying out of landmark accomplishments including the executive order prohibiting LGBTQ discrimination in federal contracting and marriage equality among other things. "It's a whole new part of the government, and I'm obviously excited to work with Congresswoman Jayapal. I've known her practically my whole life, being from Seattle, Washington," Raghavan told News India Times, a community newspaper. Jayapal is the first Indian-American woman in the U.S. House of Representatives. She has been a longtime immigration rights leader and founded Hate Free Zone - later renamed OneAmerica - dedicated to advocacy work including registering new immigrants to vote and lobbying for immigration reform.